When my son Ryland was born, we started to read night after night of fun, colorful tales. Our current favorites include Good Night, I Love You, Little Green Peas, Goodnight, Goodnight Construction Site, and Are You Awake? We go through about 6 books a night. 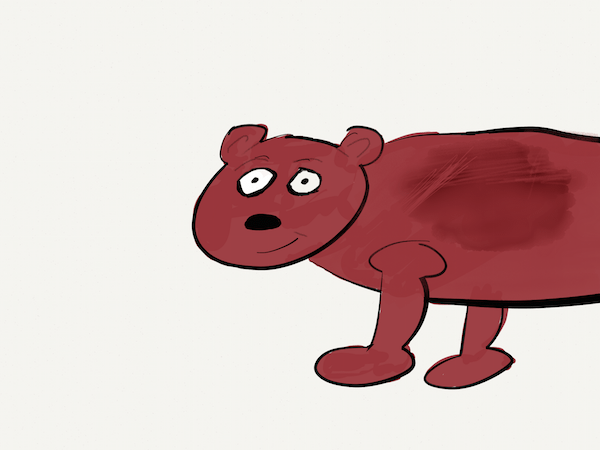 With all those characters and storylines being ingrained in his brain, I had a sudden urge to write my own children’s book based on Ryland’s stuffed animals. I wanted to give him his own customized story based on characters that he could see in his daily life. I’d never really been a doodler or even considered myself artistically inclined – the best I was able to do was create some pretty cool acrylic paintings (after the obligatory glass or two of wine) and some very basic digital art using Photoshop filters. In Elementary School, I’d draw maps of my own Jurassic Park island – but nothing that compared to the art I was seeing nightly in Ryland’s books. I’d pretty much given up on the idea that I could draw something entertaining or cute enough to represent Ryland’s stuffed animals. So, I began to price out illustration services to see what kind of investment I’d have to make – and good art costs. The prices ranged from $500 to $3,500. $500 meant I’d have to sell 50 copies of something I’d just mostly hoped to have for fun for storytime. While these artists have amazing quality and experience under their belt, I decided the illustrations should just as intrinsically unique to us as the characters were. DIY it was, there was just the little problem of learning how to draw. It’s not like you can just use clipart. For this to work, I had to figure out how to draw the story’s whole world on my own. At first, I thought about picking up doodle pad or something similar, using colored pencils to draw a rough draft of the characters and scenery that I’d imagine. A quick doodle with a pen demonstrated I just wasn’t comfortable with a medium I couldn’t erase. After looking around the Internet for a while, I decided to learn Adobe Illustrator – which is sort of like waltzing into the control room of a nuclear reactor. The sheer number of options, tools, and methods I’d need to learn to become proficient became a deterring factor. On the surface, the tool is relatively simple. I was able to create character sketches and doodles, but got stuck trying to do anything more complex (like merge shapes while keeping lines in tact). I used Skillshare to level up my Illustrator abilities, but the characters I was able to create we’re still not anywhere near the ones that I had in my mind. It was decent, but I wasn’t thrilled. It took a good hour and a half to create, there wasn’t any way to easily do shading, and the shape became inconsistent from character to character. Experienced artists often use multiple programs – creating the basic renders in Illustrator – like the one above, and then using Photoshop or another program to shade, add color, details, etc. If I really wanted to get my own distinctive look, I realized that I would have to use a drawing program that bestowed some freedom, but had a gentler learning curve so that I wouldn’t get mired in a torrent of options. Enter FiftyThree’s Paper for the iPad. FiftyThree’s Paper allows you to draw using five separate tools (plus an eraser) each with a distinctive look and feel. Most of the tools are true to form, the marker looks like a marker, the color pencil looks like a colored pencil. 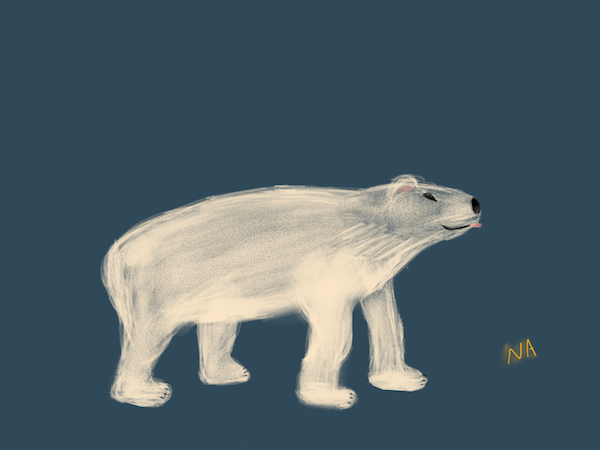 Yeah, the polar bear’s front knees are backwards, but the detail possible in the face was enough to get me excited – best of all, the drawing above only took me 30 minutes. Suddenly I was in the realm of cute characters that were somewhat believable and even close to recognizable. 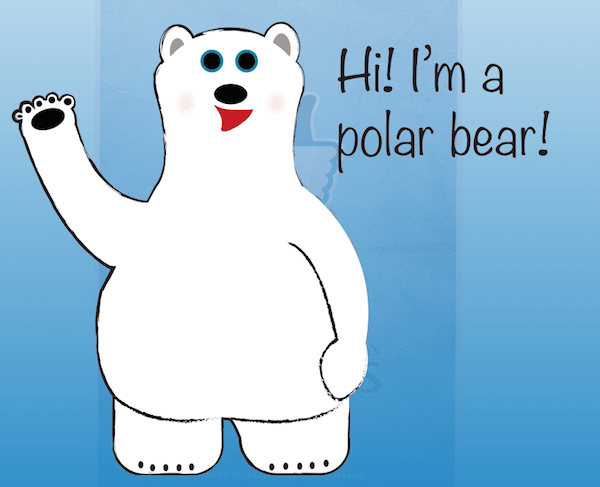 I put together a first draft of a story around a polar bear character – and writing the story was much, much easier than the drawing had been. Even so, I didn’t want to dive in and create Ryland’s stuffed animals until I’d gotten some practice under my belt. I’d written in some pretty tricky stuff that I knew in my head would look great, if I had enough skill to make it happen. 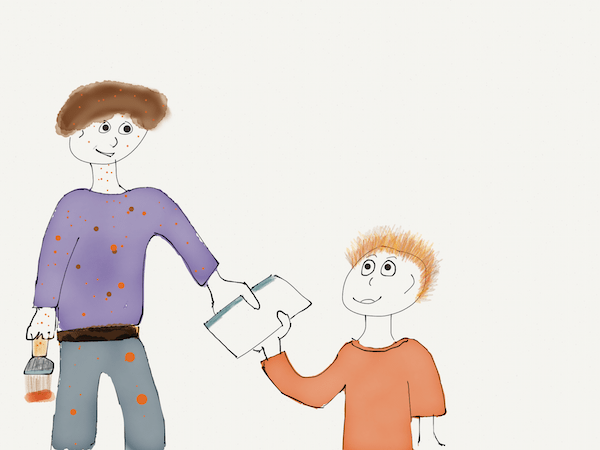 So I drafted a new story about a little boy who liked to make messes (any resemblance to actual events or persons is totally coincidental – haha) called Mess Hunter. Even Hunter’s proportions were off, but each time I’d redraw it, it kept looking sillier and sillier. The spot where I spent the most time was the Mom’s arm, hand, and finger proportions. You can actually see by way of the color on the Mom’s dress where I’d shrunk down her arm. I went for as minimalist a style as I could get away with, but I knew I must have done something right when Ryland snuck a peek at Hunter and started laughing. Anyway, once I had the art and story mostly wrapped up, it was time to begin compiling the book. This required yet another Adobe program called InDesign. InDesign, while still very powerful and complex in its own right, was surprisingly easy to use. I used Amazon CreateSpace as my self-publishing house of choice – their layout options and distribution channels are among the best, as well as their cost per book and royalties. I downloaded one of the layout templates (which automatically set all the correct numbers for margins, bleed, and gutters without me having to do any math) and started pasting in my illustrations. CreateSpace also automatically assigns a free ISBN number if you ask for one, which is a huge time-saver (especially for silly personal projects like this one). The one thing they don’t give you is a Library of Congress Control Number (LCCN). It’s not required for commercial distribution, but since this was an Armstrong Original and my first children’s book, I figured I’d better get one to commemorate the occasion. Creating an account is free and takes about a week, getting the number, another week and also free. Basically, an LCCN allows your book a wider distribution than it would have otherwise – especially to libraries. I quickly built out the cover, my bio, a thank you page, and InDesign created a print-ready PDF for me to upload to CreateSpace. CreateSpace’s online software also checks to make sure you don’t have any issues with spacing, the gutters, fonts, or other things that would make your work look shoddy. With all the fine details in place and the book digitally proofed, I ordered my print proof copy. A week later, I had in my hands a physical copy of something I’d created from scratch. The realization that I was a children’s author was pretty special. I already have the sequel planned, but for now you can check out Mess Hunter at any of the Poudre River Public Library District Libraries! Got questions, comments? Let me know below! If you’re interested, and serious about crafting quality books for children, there is a local chapter of the Society Of Children’s Book Writers and Illustrators, or SCBWI for short, right here in Fort Collins, and a regional conference this weekend in Denver. 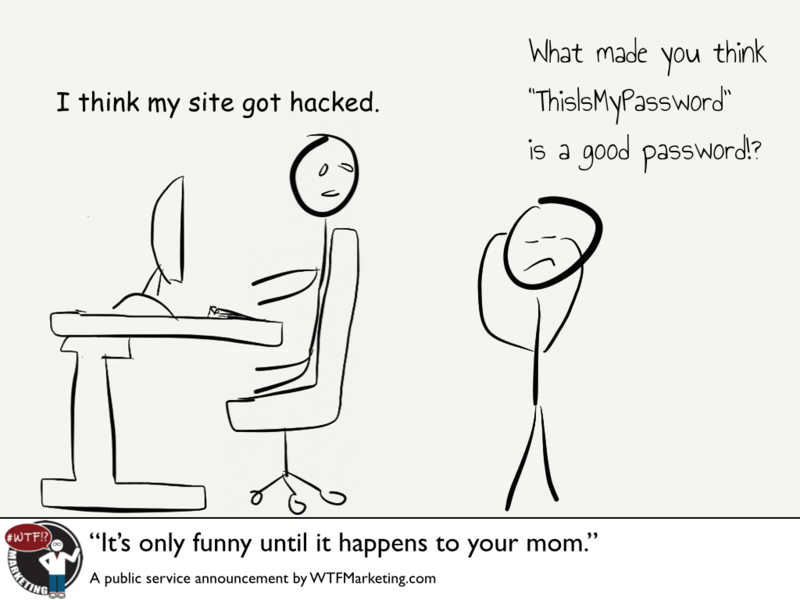 Check out the link here: http://rmc.scbwi.org/, and look for the regional chapter info (Rocky Mountain). Good luck in your endeavors! Great job, Nick. I still have 5 children’s stories I wrote when my daughter was young. I couldn’t figure out how to illustrate them. Looks like there are some good options now. Sorry Sharon, I totally missed this comment! Yes, absolutely; don’t let those stories languish, pick up the tools and get to drawing. 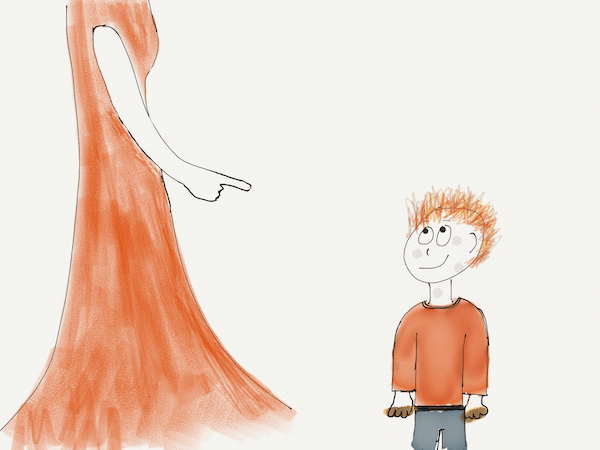 In fact, since writing this post, I’ve picked up an Apple Pencil. It’s interesting, and I definitely enjoy drawing with it.